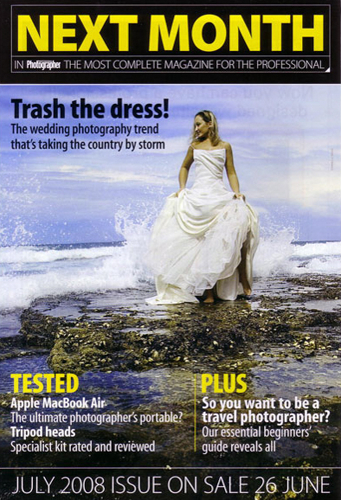 In July 2008 our Shoot The Dress / Trash The Dress creative wedding photography images where featured in Professional Photographer Magazine UK. We where interviewed over the phone and a number of our shots where chosen to be printed in the July issue and one for the Next Month page in the June 2008 issue. 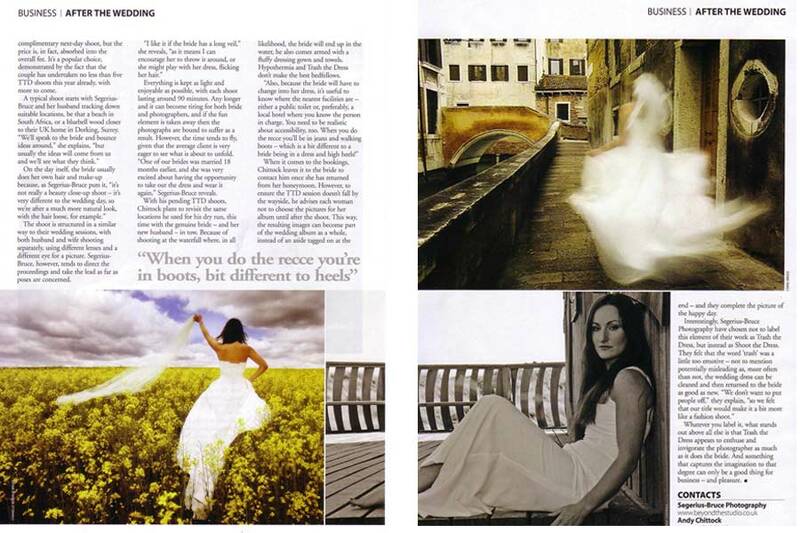 Our highly creative shots of the Bride in her wedding dress can take place the day after the wedding. This usually fits nicely with destination weddings. We can also do this for our UK couples. During a recent wedding in Cyprus both the Bride and Groom took part and they absolutely loved it! 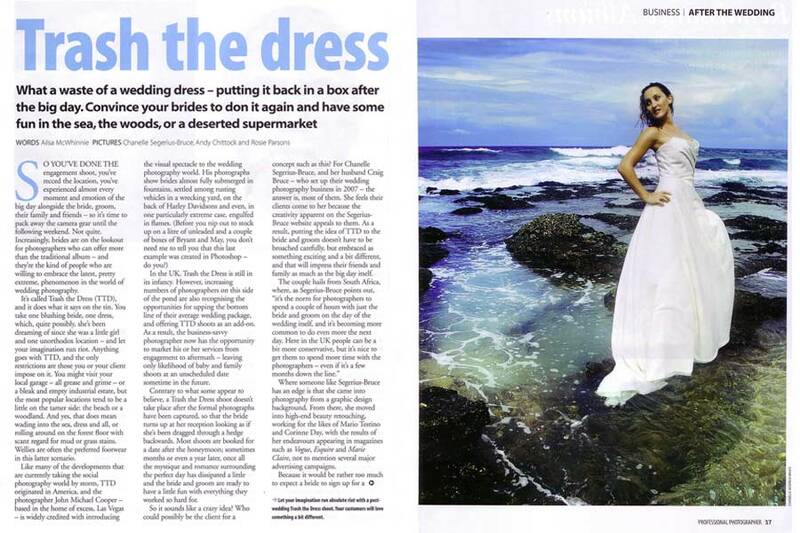 The point of our shoots is not to go out to trash the dress necessarily and often they are ok after a dry clean. What we are doing is creating beautiful, artistic shots and that is the main aim.